For over two and a half decades, Minnesota has been ground zero for an ongoing national experiment in public school charterization. Part I of the project updates the Institute’s previous work on Twin Cities’ charter schools, which focused on their high degree of racial and economic segregation and mediocre academic performance. This latest report shows that both trends continue unabated. This study provides evidence that Minnesota’s open enrollment program increases racial segregation in area schools. 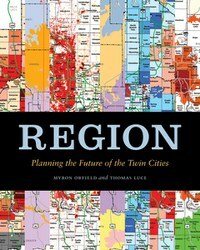 This presentation documents change in Twin Cities schools and neighborhoods. Socio-economic trends in Eden Prairie elementary schools are shown in these documents. IRP Executive Director Myron Orfield provided testimony at the September 24, 2007, Achievement Gap Committee hearing, sponsored by Senator Patricia Ray Torres. This article, from the Buffalo Law Review, examines two states where significant changes in school equity occurred in the 1990s. This analysis of municipalities in the Twin Cities metropolitan area shows variations in access to opportunity. The index combines 24 local characteristics measuring fiscal health, jobs/transportation, quality of life and education. and Thomas F. Luce, Jr.